Around 150 bullet-proof vehicles are being procured and bullet-proof jackets and headgears (patkas) are being given to most of the jawans in insurgency-hit areas. JAMMU: The Jammu and Kashmir Police will get bullet-proof vehicles and jackets for most of its jawans serving in insurgency-hit areas, in view of the recent terror attacks in the Valley, a senior official said today. 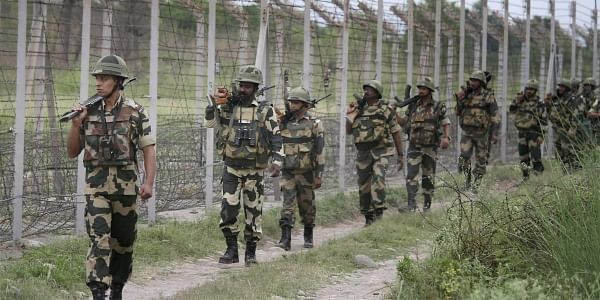 Most of the top militant commanders, including Masood Azhar's nephew, Jaish-e-Mohammad Mehmood Bhai, Lashkar-e- Taiba's Abu Dujana and Waseem Shah, and Burhan Wani's successor Sabzar Ahmad Bhat of Hizbul Mujahideen, were among 170 terrorists killed in encounters with security forces in Jammu and Kashmir this year. "We are looking into the causes, there are various reasons. After all the police is also part of the same society and you can get influenced. You live in the same society, same villages. It is not a serious challenge," he added. PTI AB KJ .